After Carbon and Falcon Pro have both unfortunately reached (or are nearing) their token limit for new users, developers haven’t yet given up on creating a Twitter client for the masses. 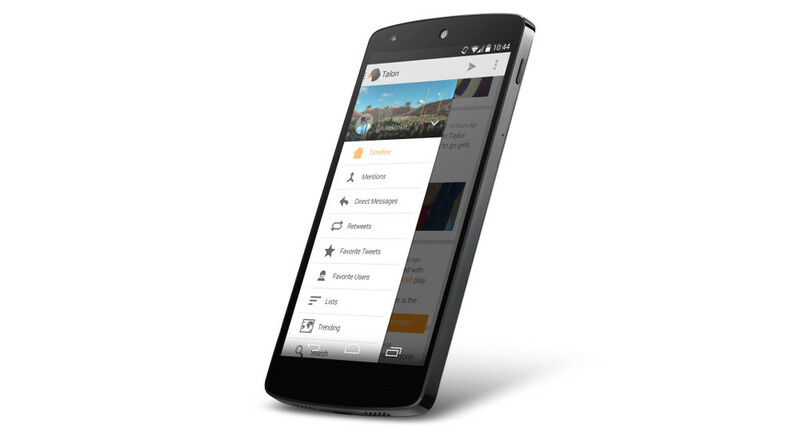 The latest, called Talon, comes from developer Luke Klinker, of Klinker Apps. If you can recall, Luke and his brother, Jacob, were the creators of Sliding Messaging, an app we have featured a time or two. 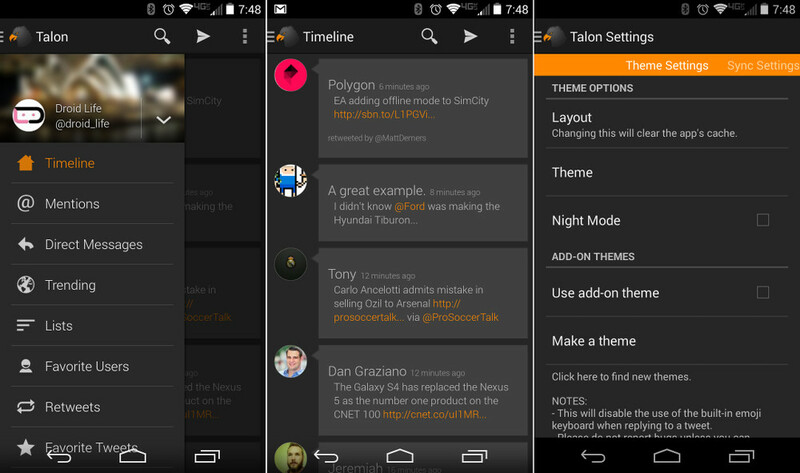 Talon is a beautiful, simple Twitter client I instantly became a fan of during its early beta days. It features all of the great features of any old Twitter client, yet combines them with a Google+-like, sleek interface along with useful add-ons such as “Talon Pull,” an ongoing notifications showing the amount of unread Tweets in your timeline and more. Some useful features of the app include the previously mentioned Talon Pull, a theme engine allowing third-parties to make themes for the app, swiping between columns, a hamburger slideout menu, and an extensive list of settings to fine-tune your experience in the application. I previously mentioned the Falcon Pro debacle, so as you can imagine, the 100,000 user limit looms over this application as well. I was able to chat with the developer to get his thoughts on the matter, and he let me know that the goal for now is to just get to 100,000 users – he pointed out that, if it becomes necessary, he may release another version onto the Play Store or open source it, allowing for an additional 100,000. That’s not exactly news we like to hear – Twitter app developers already trying to think of work-arounds that Twitter may or may not be fans of if (and when) it reaches its limit. If you’re ready to rock Talon on your device, it’s available now for $1.99 in the Play Store, with no in-app purchases on the horizon as of yet. There is also a beta community for testing out new features and early builds. Again, the 100,000 Twitter token limit is a part of the equation, which would make it tough for us to recommend buying into this app. With that said, if you want to get in early and reserve a token on what appears to be a promising Twitter app, feel free.